Cute, fun, fluffy, short read. This book sits at around 200 pages, which makes it a fast read for those times when you just don't want to start anything too heavy. 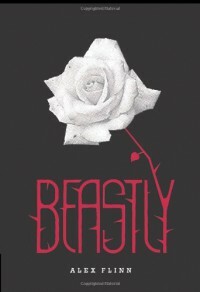 The story is targeted toward a young YA audience, so don't expect anything with great substance, but it makes for a good rainy day read.This story is a retelling of Beauty and the Beast in modern day NYC. The main character is a male that often sounds female, but that's a small gripe in an otherwise decent story. I really enjoyed the fairy tale chat-room dialogs that pop up between some of the chapters.